No matter how much we try to plan for an event, stuff happens. Only you can decide if your mental and physical stamina is sufficient to be able to deal with an event, especially if it doesn’t really work out the way you had hoped that it would. Do you have an exit strategy? Are you heat sensitive or cold sensitive? Do temperatures over 90 degrees, especially if it is humid, send you into a physical downward spiral that can end at the ER? Is rough ground a problem? How long a distance can you walk? Only you can evaluate the facts and make that decision. I have friends who no longer attend camping events, or if they do, they sleep at a hotel or cabin. Bad backs, CPAP machines, the inability to deal with temperature extremes, and a lack of physical mobility are just a few of the reasons that they made this decision. When the stress of camping takes away the fun of attending an event, you need to reconsider your options. Switching to a camper trailer or small RV has allowed several of my friends to keep attending events. Using an RV at SCA events, can be good and bad, depending on the event site. If there are electrical hookups available it can create a rather luxurious situation, with most of the comforts of home. But the downside is that you may be camping a much longer distance from the center of the event. Camper trailers and RVs are often shunted off on an edge of a event, so check ahead of time with the autocrat. Many event sites do not have any sort of hook-ups, electrical or otherwise, so you will need to understand exactly what your camper is capable of doing. Our old RV could easily do a two 1/2 day “dry” camping trip without running our generator. Generators are prohibited at a lot of sites. You also need to check for additional fees. RV’s often have to pay an additional fee at some parks, especially if there are hookups. 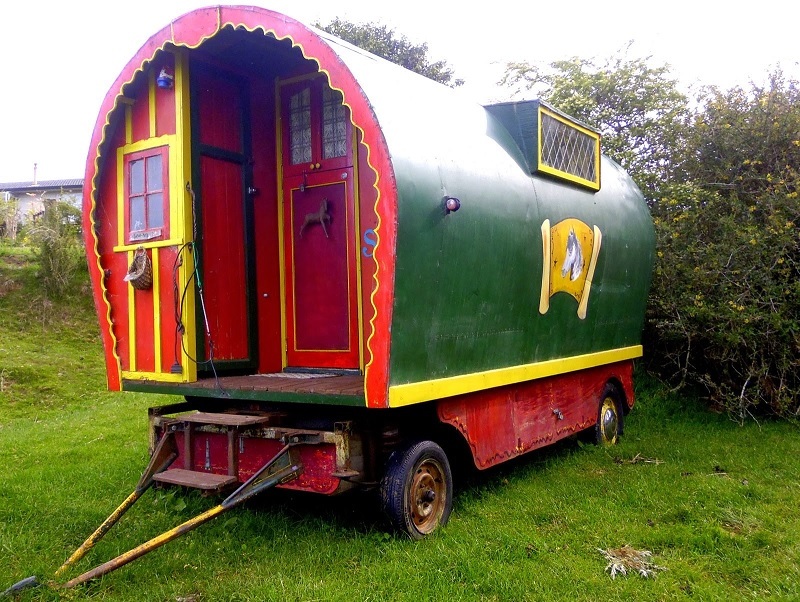 And then there is the Gypsy Wagon, or Vardo. They are towed like a trailer, but they are usually acceptable in camping areas and still provide a greater level of comfort than a tent. And sometimes things just get messed up even when you have done all the planning that you could possibly do. A friend had been looking forward to a hands-on embroidery class. The teacher showed up to class without any supplies and announced that she would order in supplies and then teach the class again on a day that that my friend could not be at the event. Major disappointment. Another teacher showed up for what was supposed to be a hands on nahlbinding class with no kits or notes, no class limit (she expected 6 and 30 showed up),and no note in the schedule about bringing your own supplies. In this last instance we have to question whether the teacher came from an area with low class attendance, was inexperienced, or was she suffering from a data entry error. Data entry error? Yes. I once had one of my Viking Knit Chain classes appear in the schedule as “Viking Knit Chairs”. Oh, and the class limit had magically disappeared, too. Fortunately I had enough supplies. Assessing your ability to deal with an event is all about being honest with yourself. In 2015, when it looked like Pennsic was going to be a giant bowl of mud, several folks that use scooters decided not to attend because of the mud. Only you can decide if temperature, rain, terrain or other factors are going to make an event just too difficult. Plan it out, be prepared, and have a great time! This entry was posted in Camping, SCA Life and tagged RVs in the SCA, SCA camping, Vardo camping by Eirny. Bookmark the permalink.